-All pipes are equal lengths and mandrel bent. -Dyno-tuned for maximum engine power gains. 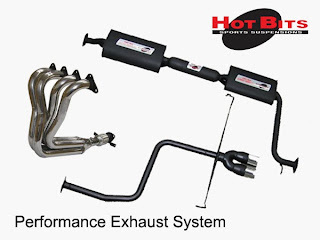 -Bolt-on directly to the corresponding Hot Bits Exhaust System. -All mandrel bends for maximum gas flow with-out any restrictions. -Low-note sporty exhaust sound, maximum sound level 78 decibels. -Aluminised steel pipes and mufflers or 304 stainless steel. 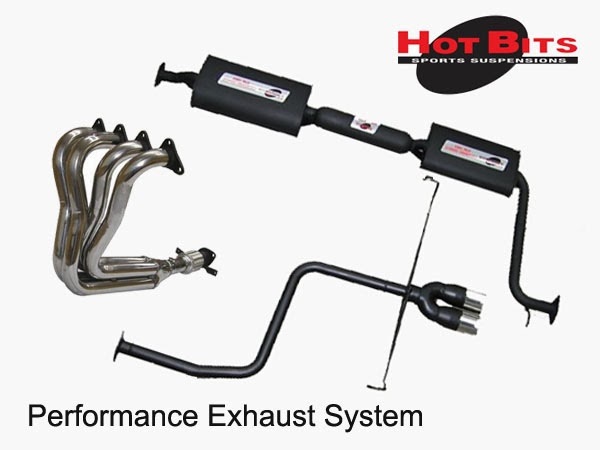 -Direct bolt-on exhaust system to the corresponding Hot Bits extractors.